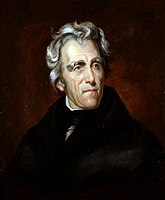 The 1824 United States presidential election in New York took place between October 26 and December 2, 1824, as part of the 1824 United States presidential election. The state legislature chose thirty-six representatives, or electors to the Electoral College, who voted for President and Vice President. During this election, the Democratic-Republican Party was the only major national party, and four different candidates from this party sought the Presidency. 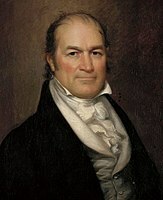 New York cast twenty-six electoral votes for John Quincy Adams, five for William H. Crawford, four for Henry Clay and one for Andrew Jackson. ^ "Electoral Votes for President and Vice President 1821-1837". National Archives and Records Administration. Retrieved 28 February 2013. This page was last edited on 13 January 2019, at 16:05 (UTC).